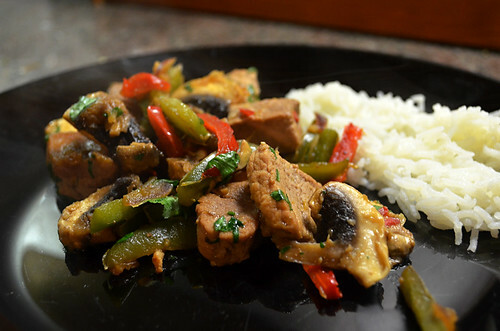 This is a real treat from the Far East – a sauce made from garlic, chilli, soy sauce, lime and ginger on pork, mixed peppers, mushroom, cilantro and steamed rice. Absolutely packed full of flavour. The pork can be swapped for chicken or beef and it still works equally well. Rating: 247 calories including rice. We miss out food during the rest of the day so that we can bump up the ingredients and it makes for a substantial fast day dinner. It always goes the same after being plonked in front of a cruel and mocking mirror. I know my lines after the first question “¿Como quiere?” is asked. Basically, a shortish back and sides. Then there’s the holding up of my fringe as the hairdresser runs their fingers down to a point that still leaves too much attached to my head so I have to advise “más corto”, swallowing the ‘s’ they way they do here. “¿Más?” He moves his fingers until we negotiate a final resting spot. “Si, perfecto,” I say to halt his descending fingers. That’s the way it normally is. This time it was someone new. Someone who ad libbed. “This side sticks out more than the other,” he smiles. Visiting the hairdresser is an ordeal. I’ve never been comfortable making small talk at the hairdresser. Doing it in Spanish just piles on the agony and awkwardness. There’s a satellite delay as I mentally translate his statement and then the reply. He laughs. It was over the net. I hope he doesn’t comment about my lopsided ears next. I’m not sure my Spanish is good enough to talk in detail about lopsided ears. He goes back to snipping away. He’s fast and efficient and in less than 20 minutes I am shorn of the dead weight that A says ages me. The mirror swings around the rear of my head and we’re back on track again with the usual script. I pay my €11 and leave feeling physically lighter and relieved that one of my least favourite activities is over. I’ve now got two months to re-write the script to include bits about lopsided ears and sticky up patches of hair. 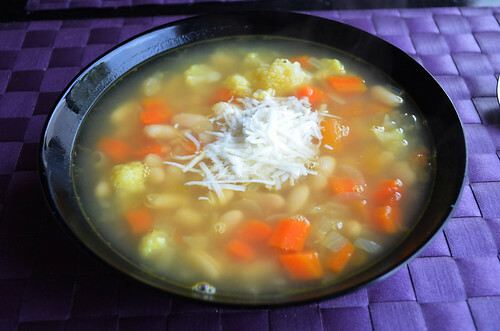 Tuscan Bean Soup: Mixed beans, tomatoes, parmesan, carrots and stock. A tasty soup and, considering it’s a fast day meal, quite hearty. Rating: at 110 calories it’s a good fast day lunch option. I live under a fictional cloud. It was placed there by someone else. It makes where I live feel like an enchanted world. Bathed in sunshine for those with the right stuff. But gloomy to those seduced by cheap trinkets. I rather like my fictional cloud. She flicks through my documents, eyes narrowing. A paper clip is placed over the thin wad of papers. The burly, surly policemen behind the frosted glass laugh amongst themselves; their voices turning steely and abrupt when a reedy voice interrupts. My breathing is shallow, my palms sweaty. I try to look interested in photos of sunny scenes behind her head, hoping it makes me look nonchalant and unworried. I remember the scene with Gordon Jackson and Richard Attenborough in the Great Escape where all their good work was undone by a sneaky ‘good luck’. It was the last stage and I wasn’t going to blow it, but there’s always, always an unknown factor. Two hours earlier we’d turned up at the police station. The world was still in darkness but we’d been told to arrive before 7am and they held all the cards we needed if we ever wanted to escape. We were directed to a tree 25 metres away where a nervous man stood smoking a cigarette. “Primera,” A tree trunk of a policeman pointed at the man. We stood in the darkness, watching early neurotic blackbirds get the worms, unsure of what would happen next. After twenty minutes another policeman came and led us back to the station and into a tiny, unfriendly room with one poster on the wall – a picture of a finger pressed against a pair of lips. By this time there were about seven of us; nobody spoke. One of the policemen called out ‘Hernandez’ and Mr Primera shuffled outside. Moments later he returned. We were next. It was only to write our names against numbers 2 and 3 on a white piece of paper. The policeman’s finger pointing at the paper looked muscular and threatening. After that nothing, just a weighty silence. Nobody but nobody was comfortable. The oppressive setting made us all appear shifty and suspicious, yet I’m pretty sure everyone around me was as innocent of any crime as we were. After another fifteen minutes a door opened and a severe looking women did the rounds asking for passports and adding our names to a numbered sheet. It was a different sheet from the one that the policeman had made us sign. Nobody seemed to know what was going on, yet asking a question was, well, out of the question. One young girl tried and was brusquely waved back to her seat. I wondered if there would be problems found regarding the validity of her documents. Another wait before the woman appeared again, this time with a mountain of papers in her arms which were handed out to everyone, ourselves included, accompanied by a rapid fire series of instructions in Spanish. The slightest indication that we didn’t understand and the game was over. She asked us for a photocopy of our passports. I’d pre-empted this and already had two to hand. She looked briefly at them and came back with. They always, always catch you out. But she wasn’t the dragon we expected. Not one single person had all the correct documents, so our little convoy made its way to a photocopying shop thirty five metres away. There are always photocopying shops thirty five metres away from places like that. Then it was on to the bank where we coughed up €21 for the stamped and numbered documents that might give us our freedom. They just had to meet with the female funcionario’s approval first. She scanned the papers a final time and extracted two green pieces of paper from a box. My heart beat faster at the giddy thought we might actually have done it. She slipped them into the photocopier, pressed the print button and handed us our ‘release’ papers. It was over. We’d passed through the system again. We had brand new residencias. They were our jade discounted passports to other worlds. Of course – the law always changes. Some folks on social media regularly ask why anyone would photograph what they eat for lunch, dinner, snacks etc. There are two simple answers to this question. The first is if you have to ask, you’re not a foodie so you’ll never understand. 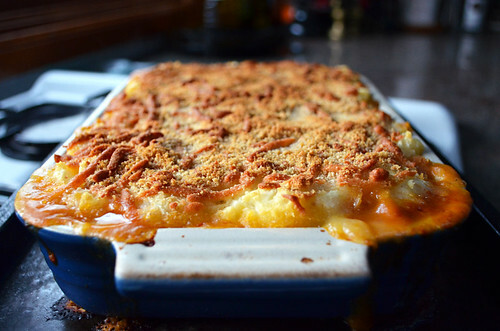 The second is beouf au gratin, or French shepherds’ pie if we’re not wanting to sound pretentious. If I hadn’t photographed French shepherd’s pie the last time we ate it I wouldn’t have stumbled upon it whilst looking for a particular food photograph and would have completely forgotten how good it was. What’s more, we wouldn’t have devoured it with orgasmic pleasure last night. Why we started the 5:2 Diet. France. France was to blame. Too much cheese and wine and not enough challenging walks. 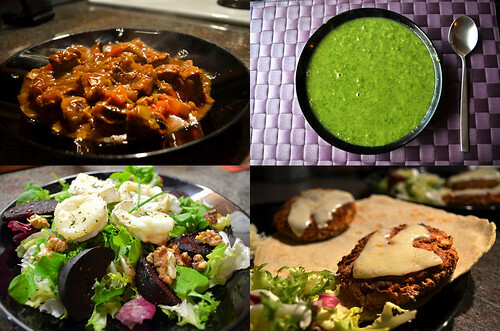 Then there were a load of gourmet gastronomic events. Result – an unpleasant thickening of the waist and other bits. So the 5:2 diet was started. 5 days eating more or less normally, two days fasting. Fasting really meant eating a quarter of our normal intake. The two days could be any days we’d like. We could chop and change them to suit. It sounded like the sort of diet that wouldn’t have us wondering where the fun in life had gone. And the recipes sounded half decent. It has been a revelation. Motivation is up and stomach size is down. My mother warned my legs would become too skinny. Her concerns have so far proved unfounded. I miss the wine on fast days though.